Wasgamuwa National Park is a peaceful inland nature reserve, where one is assured to spot large herds of elephants and buffalos. 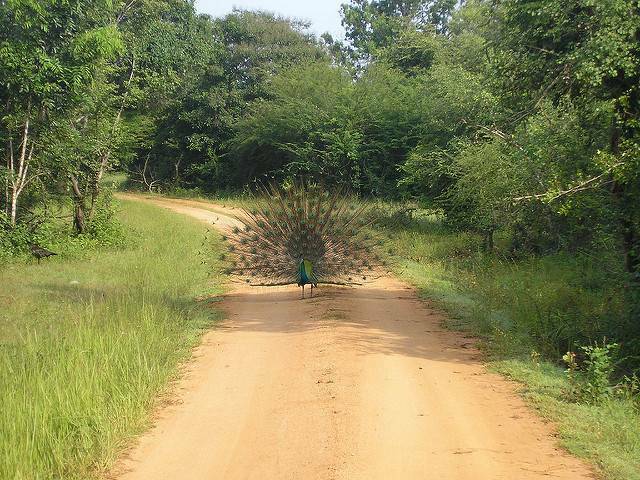 Unlike other crowded national parks, Wasgamuwa is less commercialized, providing tourists with a real wildlife safari experience. While animals like buffalos, mongoose, alligators, deer and water buffalos can be easily be spotted, only a lucky few manage to catch a glimpse of a leopard or sloth bear lounging among the dense shrubbery. The birdlife at Wasgamuwa is also vast, and spurfowls can often be seen frolicking among the tree branches, while vibrantly colored butterflies embellish the sky. Camping just outside the park is also available, and is a definite must-do if one wants to relax and enjoy nature at its best. Just after the monsoon season, the park is decorated by lush green grass and dense trees, and a calming petrichor fills the air. Hence, if one is especially keen to observe wild Sri Lankan elephants, and of course, a few more animals here and there, Wasgamuwa is the place to go!